Don't lose your equity and ruin your credit. Learn how to stop the foreclosure. Has your ARM reset to a rate you can't afford? Have you experienced some sort of financial setback? Are you a veteran facing foreclosure in Comal, Guadalupe, and Bexar Counties? Don’t worry - you don't have to foreclose your home. I have a fast solution to your problem! In this article you will learn how to stop home foreclosure proceedings, how to avoid them and how to get help from the government, including help for veterans. We will closely look at all processes and help you get back on track fast. 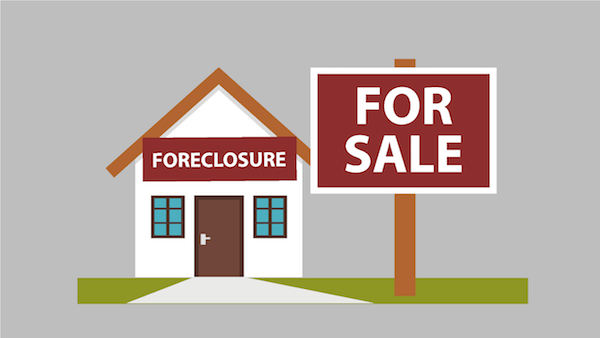 Foreclosure is an auction which occurs when the homeowner fails to pay the mortgage. If it can’t be sold at an auction, it becomes a part of the lending institution. A civil lawsuit is formed against the borrower. Everything is handled by the legal court system. A notice of pendency is performed. The court agrees or disagrees on the lender’s decision of foreclosure. The notice of sale is published. The process takes from 4 to 8 months. A deed of trust conveys an interest in real property to a third party to hold as security for repayment of a debt. The trustee is able to begin foreclosure. Notice of Default is recorded and the borrower is given a deadline to repay what he owes or object. A Notice of Trusteee’s Sale is recorded and the auction is decided on. The process takes up to 12 months. If you have current difficulty in paying your mortgage, contact your loan servicer immediately. Federal Deposit Insurance Corporation states that you have to make sure you work directly with your servicer or counseling agency. Offers which are too good to be true are usually a scam. Stay safe and trust only reputable services. You should also carefully study your budget - track your expenses and see which spendings you can minimize. U.S department of Housing and Urban Development presented several programs, implemented by The Obama Administration, which will help you avoid foreclosure. The list includes Making Home Affordable © (MHA) Program. Its strategy is to "help homeowners avoid foreclosure, stabilize the country's housing market, and improve the nation's economy." Companies like Federal Deposit Insurance Corporation also work towards helping you make easy and affordable repayments to your home. Avoid foreclosure and get fast cash for your Comal, Guadalupe, and Bexar Counties house. We can make you a fair cash offer within 24 hours! UAC (Urban Affairs Coalition) created a Resource Guide which will help you stop foreclosure. The guide features up-to-date information on how to avoid and stop you from losing your home. Contact the lender as soon as possible. Consider loan modification, a repayment plan, a reinstatement, forbearance and any other options available to you. If the fourth option seems the best, you’re in for a treat. I buy houses fast and for cash. Within 24 hours of filling out the form you can have a cash offer in your hand. Not only do I pay cash for houses, but I can take that house off your hands in just a matter of days! Lucky for you, we buy houses in Comal, Guadalupe, and Bexar Counties. We work fast to get you a no-obligation cash offer for you house within 24 hours. Give us a call at 830-299-3856 or fill out the form below to get started. We look forward to talking with you.